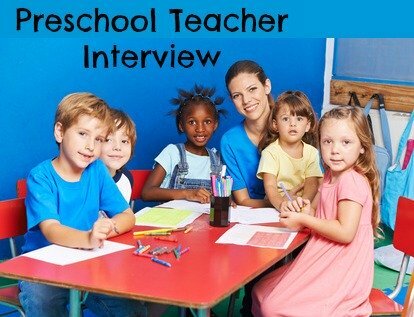 Sample preschool teacher interview questions and excellent interview answers. Be well prepared for your interview, do your homework beforehand and have a good understanding of the school teaching philosophy and value system. Think about your interview answers to both common interview questions and teacher-specific questions. Have some insightful questions ready to ask during your interview. Why did you choose to become a preschool teacher? 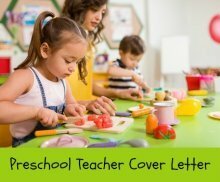 What do you like most about the preschool teaching job? Expect these typical preschool teacher interview questions that explore your skills, strengths and experience. 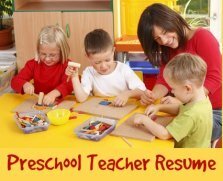 What are the key responsibilities of a preschool teacher? What do you consider your strengths as a preschool teacher? high levels of patience and a good sense of humor! Describe your approach to classroom management. How do you encourage children to work in groups? Group work is essential for learning cooperation and collaboration. How do you incorporate group work into your activities? Discuss a couple of projects you instigated such as a hands-on art activity that involved the preschoolers working together in groups. What do you consider to be the role of parents in preschool? Tell me about a typical daily schedule in your classroom. Please summarize your preschool teaching philosophy. "I believe that a mixture of structured activities and free and creative play allow for optimal learning and fun. Each child is an unique individual and should be allowed to learn at his or her own pace. Activities should be centered on establishing self-esteem and confidence"
You can expect some preschool teacher interview questions that explore those behaviors or competencies required for successful job performance. How have you handled a recent behavioral or discipline problem in the classroom? This is about how you handle discipline problems in the classroom. Detail the types of discipline you use. Support why you use these methods. Give me an example of when you had to recently deal with a concerned or angry parent. Describe how you created a happy learning environment for the children in your previous job? This preschool teacher interview question is to evaluate how well you manage your classroom. Effective organization is the cornerstone to this. Use your communication skills to ensure your enthusiasm and passion is evident. Preschool teacher interview questions will include standard interview questions. Follow up with a thank you note within 24 hours of your preschool teacher interview. Take along a well organized teacher portfolio to show off your work. What should I wear to my teacher interview? It is always a good idea to wear interview clothes that are a step up from those you would wear in the classroom. Each district may have different interview dress codes so keep it professional but approachable. For a preschool teacher, smart slacks or skirt teamed with a blouse and blazer are always a safe bet. You can add some personal flair in the form of a bright scarf or purse.